Now, having a plate of bhel puri or the lip-smacking pani puri at Mumbai’s legendary Chowpatty is apparently as safe as it can be. The Chowpatty at Girgaum and Juhu procured India’s ‘Clean Street Food Hub’ certification on March 5, 2019. This happened within a month after the Food and Drug Administration (FDA) of Maharashtra cracked down on 27 restaurants across Mumbai, suspending their licences and issuing showcause notices for violating basic food and safety guidelines. In all, 80 stalls at Juhu Chowpatty and 30 stalls at Girgaum Chowpatty were monitored closely by FDA officials over the last six months. Following that, they were conferred with the tag that “is a seal of assurance that the food has been cooked in clean conditions following hygiene standards, and is absolutely safe to eat,” said Maharashtra FDA Commissioner Pallavi Darade. Now, all the staff use clean water, gloves, uniforms, caps and have waste-bins lined up at regular intervals. Staying safe is serious business for the stall owners. After all, they get audited by FDA every three months. The FDA clean tag that Mumbai’s chowpatty earned were on the lines of Ahmedabad’s Kankaria Zone — the country’s first ‘Clean Street Food Hub’ certification earned in September 2018 after the zone’s personnel received intensive training in cooking and hygiene standards laid down and ascertained by officials of the Food Safety and Standards Authority of India (FSSAI) and Gujarat Food and Drug Control Administration. Kankaria houses around 66 street food vendors who cater to nearly 12 million people every year. The zone successfully met FSSAI-framed guidelines to upgrade the infrastructure for existing street food clusters, to make it more safe and hygienic. The guidelines include garbage disposal practices; maintenance of personal hygiene; demarcating of cooking and non-cooking areas; working street lights; pest control and overall cleanliness. “We conduct regular raids on restaurants across Mumbai and issue showcause notices to them if they are found violating food and safety guidelines. The idea isn’t to force them to shut shop but to comply with safety norms to ensure that they do not put public health at risk,” said Maharashtra FDA Joint Commissioner (Food) Shailesh Adhao. In an earlier crackdown, the Maharashtra FDA had found hygiene and food safety violations in 74 per cent of over 500 popular restaurants. A large number of restaurants across Mumbai had ignored mandatory health checks for staff. “Owing to acute staff shortage that plagues this industry, most of us cannot retain staff for too long. 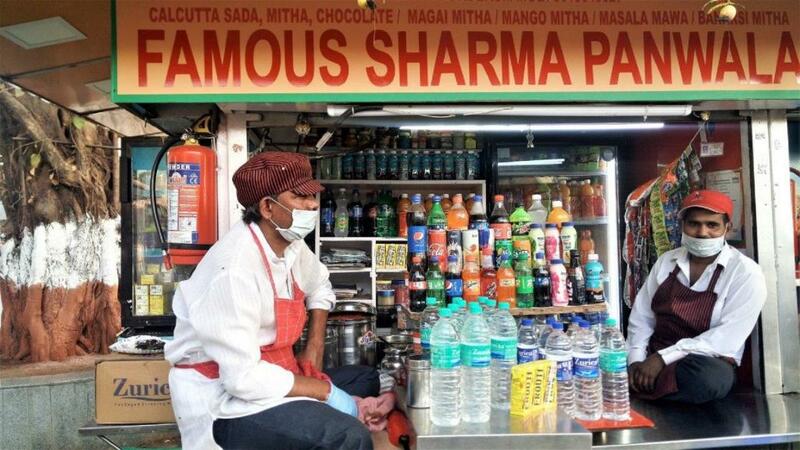 Maintaining records and ensuring they meet hygiene standards is a tough task,” says tea-stall owner Mahesh Trivedi. The Maharashtra FDA in itself is plagued by staff shortage, with less than 300 food inspectors who have to monitor lakhs of restaurants. However, the recent training drive has received much appreciation from the service sector. “Now, everything is so professional, unlike in the past. The change is there for everyone to see. FDA has done some brilliant work by training our staff in conjunction with the civic officials,” says Chetan Sharma owner of Sharma’s Milky at Chowpatty. He added that the ‘Clean Street Food Hub’ tag has helped boost business as well.